"* A Cortez Florida Guide to attractions, vacation, tourism, resort, hotel, motel, accommodations, lodging, Real Estate, Vacation rentals, Travel Guide, lodging, surfing, restaurants, real estate in and around Cortez , Anna Maria , Holmes Beach, Bradenton Beach, Florida ..! " CortezFl .com is your Online Travel Guide to Cortez, Florida showcasing hundreds of exciting attractions, hotels, restaurants, real estate & vacation rentals on Florida's Sun Coast. Welcome to Cortez, Florida on Sarasota Bay in Manatee County. 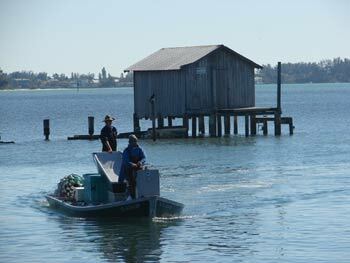 Cortez is the last remaining fishing village on Florida's Suncoast. Cortez is a small Gulf coast commercial fishing village that was founded by settlers from North Carolina in the 1880s. The community was named after the explorer Hernando Cortes. 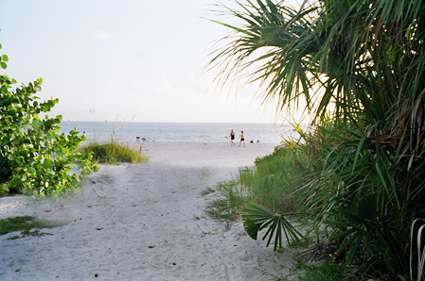 Cortez, originally known as Hunter's Point, is located on the northern edge of Sarasota Bay adjacent to Anna Maria Island and its three cities, Anna Maria, Holmes Beach and Bradenton Beach. Cortez is one of Florida's traditional fishing villages that has been able to retain its cultural integrity. The population in July 2007 was 5,327. Cortez Florida showcasing hundreds of exciting attractions throughout the southern Gulf coast area of Florida including the neighboring communities of Anna Maria, Sarasota, St Petersburg, Clearwater and Tampa Bay. As a joint project of the Florida Institute of Saltwater Heritage (F.I.S.H. ), the Cortez Village Historical Society and R.B. "Chips" Shore, Manatee County's Clerk of the Circuit Court, the Florida Maritime Museum�s mission is to gather, preserve and interpret Florida Maritime Heritage, with special emphasis on the historic fishing village of Cortez as a traditional maritime community within the greater context of Florida�s Maritime History, maritime history in general, and the natural world. Formed in 1984 by descendants of original settlers who came to the area one hundred years before, the CVHS has become a focal point in the community. Helping preserve both the historical structures in the community and the unique way of life. The Cortez Schoolhouse was constructed in 1912. The building was the second schoolhouse for the community of Cortez, which was established in the 1880s as a fishing village. It originally housed two classrooms and in 1933, an auditorium with a stage was added forming a T-shaped floor plan. Anna Maria Island is a seven mile barrier island located in the southern Gulf Coast area of Florida and is renowned for its white sand gulf beaches and gin clear water. 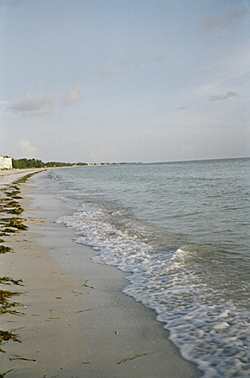 Anna Maria is the northernmost of a string of barrier islands that extend in a southerly direction to the Florida Keys. The Island itself is surrounded by the Gulf of Mexico to the west, Tampa Bay to the north and Sarasota Bay and Anna Maria Bay on its eastern shores. 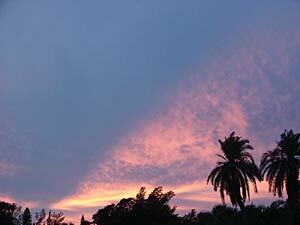 Outstanding vacation rental homes, villas and condos from 1 to 5 bedrooms in Anna Maria Island, Fl. Let us book your island getaway.We have vacation homes for rent that fit any budget. 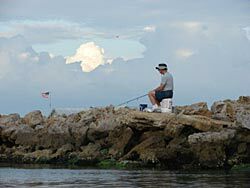 Fishing abounds on Anna Maria Island. 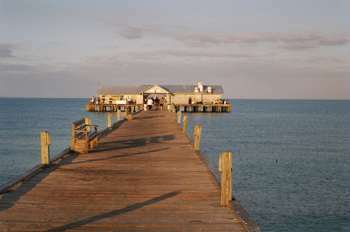 The island offers three fishing piers: Anna Maria City Pier, Rod & Reel Pier and Bradenton Beach. It is common for Bottlenose dolphins to be seen both in the Intracoastal Waterway and the Gulf. The endangered Manatee is often seen in and around Anna Maria Island in the shallow coastal areas such as canals, rivers, springs and also in the bay. These huge creatures are gentle and very slow moving. 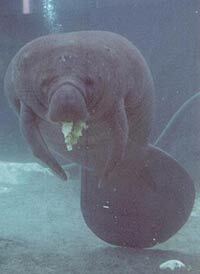 Manatees are fully protected by Florida law and must be left alone and watched only from a distance. Anna Maria Island is a birdwatcher's paradise. 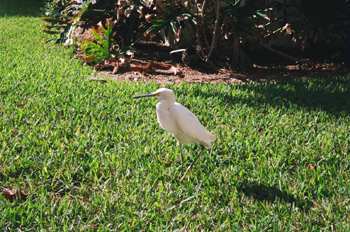 There are thousands of pelicians as well as ibis, egret, heron, gull, sandpiper, skimmer and spoonbills. Save up to 50% on Hotels in Anna Maria, Florida. Find deals and read hotel reviews! 778-4198 , 778 -- 0492 402 Pine Ave , Anna Maria Fl. 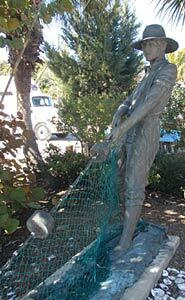 Collects, Researches, Preserves and Displays artifacts pertaining to earlier times on Anna Maria Island. 201 10th Street West Bradenton, Florida 34205 (941) 746-4131 Located on the Manatee River waterfront and taking up an entire city block, the South Florida Museum, Bishop Planetarium, and Parker Manatee Aquarium is a unique educational resource. Digital Full Dome Planetarium/Theater The Bishop Planetarium is a multipurpose, 'state of the art' domed theater, boasting one of the most advanced all-digital projection systems in the world. Incorporating unidirectional stadium style seating, high definition DVD, TV, and PowerPoint projection, and a digital 25,000 watt Dolby 5.1 surround sound system, the Bishop is capable of accommodating a wide range of programs. The planetarium is a remarkable astronomy education resource, allowing visitors to explore their universe through traditional live star talks and immersive virtual journeys to the far reaches of the cosmos. The South Florida Museum interprets the region from the Pleistocene to the present with stunning life-size dioramas and dramatic exhibits based on its extensive collections of anthropological artifacts, paleontological specimens and objects of cultural interest. Established in 1947, the motto then, as it is now, is "Something for everyone." The Parker Manatee Aquarium, designed to house three adult manatees, holds nearly 60,000 gallons of water, including a medication pool. The pool offers both deep and shallow water, allowing the manatees to maintain natural feeding behaviors. An exhibit area within the facility helps to educate the public about manatee anatomy, physiology and habitat, and provides above and below water viewing. Working closely with Lowry Park Zoo�s critical care hospital for manatees, the Parker Manatee Aquarium is a second stage rehabilitation facility. A second stage facility provides a temporary home for manatees that will be released back into the wild after having received treatment from an acute care hospital. The Aquarium has housed fourteen manatees as part of its rehab program. Parker Manatee Aquarium is the permanent home to Manatee County's most famous resident and official mascot, �Snooty�, the manatee. Tampa Bay was designated an "estuary of national significance" by Congress in 1990, paving the way for development of a long-term blueprint for bay restoration through the Tampa Bay National Estuary Program. Tampa Bay is one of 28 estuaries in the National Estuary Program; others in Florida are Sarasota Bay, Charlotte Harbor and Indian River Lagoon. Charting the Course is the Tampa Bay Estuary Program's management blueprint for Tampa Bay. It details progress made in restoring and protecting Tampa Bay and advances strategies for continuing improvements in the future. Charting the Course was first released in 1996, and updated in 2006. Tampa Bay is the largest open-water estuary in Florida, encompassing nearly 400 square miles and bordering three counties -- Hillsborough, Manatee and Pinellas. More than 100 tributaries flow into Tampa Bay, including dozens of meandering, brackish-water creeks and four major rivers -- the Hillsborough, Alafia, Manatee and Little Manatee. More than 200 species of fish are found in Tampa Bay, including snook, redfish and spotted sea trout. Tampa Bays's Mangrove islands are nesting areas for all sorts of waterbirds - from the white ibis, great blue heronto rare species of migrating birds and waders. On average, Tampa Bay is only 12 feet deep. The Port of Tampa is Florida's largest port and consistently ranks among the top 10 ports nationwide in trade activity. It contributes billions annually to the region's economy. The Sunshine State of Florida is a world class paradise for sports anglers with 12,000 miles of rivers and streams, 1,200 miles of coastline, almost 8,000 lakes and 2,200 marinas. Freshwater fishing in Florida's canals, lakes, ponds and rivers yields a huge variety of sport fish ranging from from largemouth bass, bluegill, crappie, gar, to bottom dwelling catfish. Saltwater species include Permit, Grouper and Tarpon. 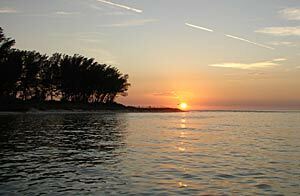 Have you ever thought about publishing your very own book about your adventures on Anna Maria Island? Kayaking on Florida's many lakes, rivers and oceans has become a very popular activity for vacationers, family groups and solo paddlers. 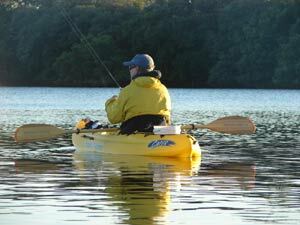 You can rent kayaks daily, weekly or even by the hour at many locations. Your skill level and degree of adventure will be your guide as to what type of kayaking is right for you and your group. Ocean- An ocean kayak is a sit-on kayak where you actually are sitting on top of the kayak. These kayaks are used mainly to paddle in the ocean, and are very buoyant because there is no interior space for water to be collected as there is in an ocean and river kayak. They handle waves very well, and are ideal for the ocean adventurous person. Whitewater-A whitewater kayak is a small kayak that is used for riding the rapids. The miniature kayak actually accelerates through whitewater making rapids easier and fun. These kayaks are also used for special tricks. Skilled professionals are able to actually pop in and out of the water with the boats, as well as ride waterfalls. It is easy to maneuver, and simple to flip this boat over, back above the water, if you should tip. River-A river kayak is your typical kayak. These kayaks are ideal for paddling on rivers, lakes, and ponds. Guided tours are often run with river kayaks because they are the easiest to handle, and the most practical for recreational kayaking. Try taking a Sea Kayaking Tour to take advantage of Florida's playground! 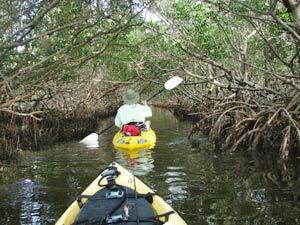 Sea kayaking tours are offered all over Florida - from the ocean to the Gulf of Mexico and in the Florida Keys & Everglades. 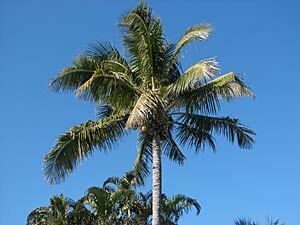 We invite you to visit one of the largest and most comprehensive Florida Travel Networks online. Florida joins our award winning national network of travel, real estate & vacation websites!